Today, me and the Frog Prince, leave for Philly. I should say the city if Sisterly Love, being that I have 3 sisters and only 1 brother. We are gathering for my sister Lynn's 50th Birthday...Shhhh I didn't say that too loud did I? LOL She is gonna kill me. So anyways, this is a big occasion because we (the sisters and 1 brother) haven't all been together since about 1974 or so. Long story, but my brother has reunited with us. So, needless to say, I will be missing for a few days. 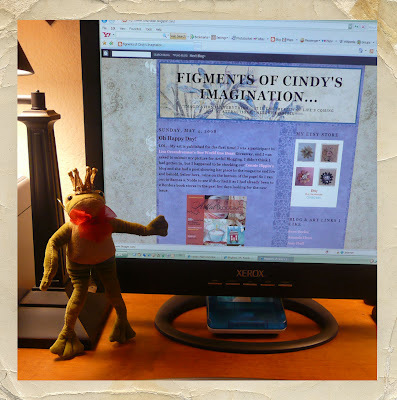 This will be the first time the Frog Prince travels without staying in a box. Stayed tuned to see his first trip!